Browse our commercial odor neutralization products, spill absorbers, granulated odor counteractants, organic waste degraders and more. Why Choose Our Odor Neutralizing Air Care Products? Over the course of the last half-century, cleanliness and hygiene and the ongoing exposure to malodors and disease-bearing pathogens lurking in company restrooms, trash rooms and other areas have become complex issues in the daily operations of all modern commercial enterprises. The way a company’s reception area, restrooms and other areas look and smell greatly affects customer satisfaction and the power of that first impression. There’s no escaping the indelible association between a company that neglects ensuring clean fresh air to one that also has little regard for its clients and employees. Modern air-freshener solutions are not only powerful and ubiquitous, they can be found in workspaces of all kinds. Above all, they have the power to improve employee mood and morale, and indirectly that all-important bottom line. Additionally, the rise in waste generation has also been a factor in the increased demand for air-fresheners products such as odor neutralizers, spill absorbers and waste degraders, each of product of which are invaluable to the needs of contemporary commerce. Studies have indicated that the effects of air-fresheners are positive and immediate, as a fresh burst of lemon or peppermint can boost energy levels in a contemporary office within minutes. Air-fresheners have long been used in the residential sector, and today are widely utilized in retail shopping centers, showrooms, healthcare facilities, offices, and many other commercial environments. Our many products and service options can be broken down into two basic categories: odor neutralization products and commercial air-fresheners for small and large commercial enterprises. The following products represent the most sophisticated arsenal to combat malodors in trash rooms and other commercial areas. The name says it all. This odor-neutralizing product works wonders as a kind of balancing act between absorbing more than 100 times its weight of water based spills and its simultaneous control of malodors. 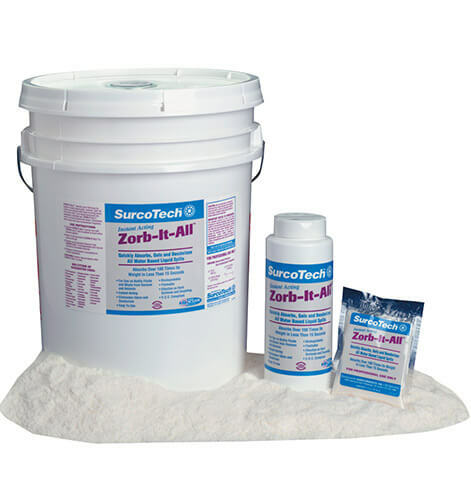 All human and animal bodily fluids, including blood, urine and vomit, instantly gel upon contact, and Zorb-It-All works equally well on hard floors and carpets. The product deodorizes with a fresh mint fragrance. Malodors truly scatter and head for the hills when these granule odor-demolishing pellets are applied to any heavy duty refuse disposal operation. Scientifically formulated for malodors arising from restaurant, institutional, commercial and municipal waste, scatter granules provide the perfect solution for trash containers, incinerators, garbage dumpsters and compactors. More than 200 billion live bacterial cultures are found in every gallon of this waste degrader and odor-neutralizing concentrate. 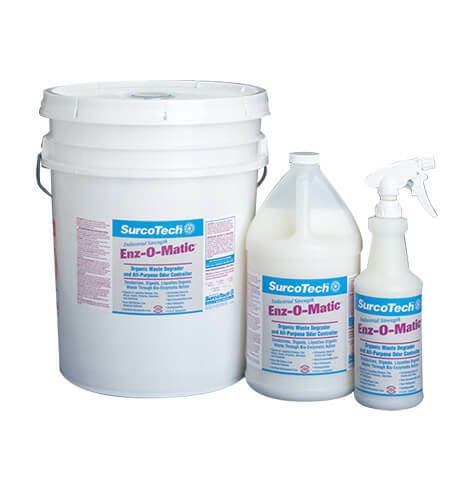 These non-pathogenic substances produce enzymes that collectively erode all forms of organic wastes rendering them very effective for use in floor drains, drain lines, grease traps and septic systems, to name a few. 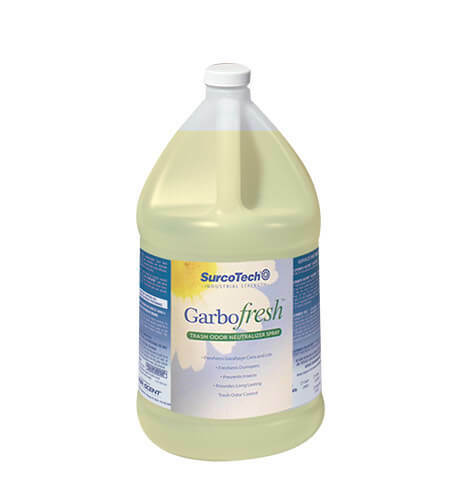 This product is unique to the modern market place due to its power to both clean and deodorize with a one-of-a-kind amalgam of surficants that reduce the tension of liquids so that they do not collect in droplets and offer fragrances that provide instant odor control and freshen the air. 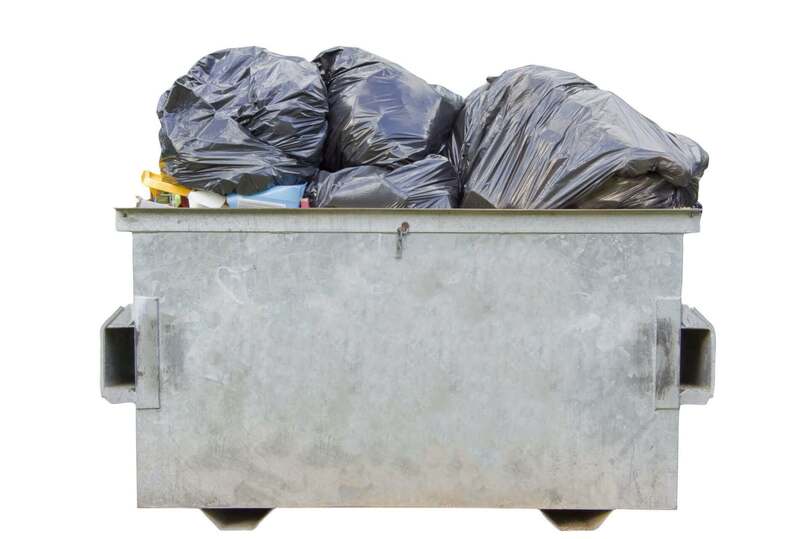 This industrial strength odor control concentrate freshens dumpsters and compactors and provides long lasting odor control by the power of instant neutralization of odors that arise from decaying waste found in trash, compactors and garbage. Sold by the case with four gallons in each, the applied long lasting odor combatants are unattractive to rodents and flies. Since the modern fan air-freshener was born back in 1948, Air-Scent has developed a wide variety of battery-operated and electric fan air-fresheners, aroma diffusers, metered aerosol time-operated mist dispensers and scent delivery systems. The following are a few of the many options available for restrooms, foyers, hallways, vestibules and other small indoor spaces. This dry vapor scenting system is the perfect solution for both neutralizing air-borne malodors in small areas such as restrooms in any commercial, industrial or municipal environment, and providing enriched aroma suitable to the space. It is a versatile system, as it can accommodate many Air-Scent refill types including bottles, Maxi Professional liquid can and Solid Square wafers. The Aroma One has several fine features that guarantee the best possible end user experience. These include: contemporary design with optimal air-flow; an air-velocity fan blade that is far superior to others of its ilk; three smart settings, which include continuous, 60-day and linear output, and the ability to easily convert from battery to electric via an included adapter. This air-freshener dispenser has been sanitizing and freshening restrooms in restaurants, hotels, spas and salons and fitness centers for decades. It is an effective scent diffuser and malodor eliminator and it is constructed from sturdy, durable polymers. It comes in 4 decorator finishes to complement the smooth European design; offers 3-way ventilation for maximum air-flow and has a spill-proof tray that can accommodate every liquid or solid refill type. This durable battery-operated dispenser is highly versatile as it can accommodate all Air-Scent refills. The contemporary design is both attractive and suitable for residential and commercial settings including boutiques, private clubs and retail stores, just to name a few. It is easy to open and service, and its compact size fits almost anywhere. It has a unique locking mechanism and on/off switch, and is available in a DC/electric adapter version. This uniquely designed wall-mounted dispenser is meant to live quietly and almost unnoticed on small walls. It provides 24-hour/day (light sensing) modes of operation that efficiently service up to 6,000 cubic feet. Its controlled release of aroma vapor is programmable through the use of metered mist aerosol refills, which are laden with Metazene, the most powerful odor-neutralizing additive in the world. This dispenser is constructed of resistant materials that will not erode or melt away, and the spray timer can be adjusted to release mist at selected intervals of 5, 10, 15 or 20 minutes. The battery life is longer than those found on others of its ilk and the dispenser uses one or two AA batteries. This drip restroom dispenser is specifically designed to deodorize and sanitize commercial toilets and urinal fixtures. It provides a constant stream of clean, fresh-smelling air 24 hours a day for a full 30-days. Vapor action is the key to its power and success, as each and every time the detergent water drips (one drop per minute) and hits the fixture water, potent cleansing agents, molecular odor neutralizers (metazene) and concentrated fragrance are dissolved into the air, promoting comfort and health to both employees and clients. This chic, stylish air-freshener dispenser is designed as an ornamental metal sconce that is a decorator’s dream because it is available in different custom finishes and patterns. In addition to appealing to the naked eye, these sconces complement the scents they contain and they are engineered to work with both liquid and solid and metered aerosol refills. Smaller spaces demand compact design and this slim, sturdy air-freshener dispenser can fit in just about anywhere a space requires odor neutralization and air-freshening solutions. This includes: elevators, lockers, foyers, small restrooms, hotel rooms, trash bin lids, shuttle vehicles and portable toilets. It is considered a passive air-freshener because it requires no batteries and functions by utilizing natural air and evaporation. A maximum fragrance flow is achieved via strategically placed side vents and it works best with Solid Square Wafer air-freshener refills, which provide long lasting odor neutralization and concentrated aroma enhancement to any setting. This sleek, slender air-freshener dispenser has a scientifically engineered air flow and it is built to last. It is perfect for residential, commercial, institutional and industrial applications and ideal as an add-on service for route businesses such as pest control, linen and uniform rentals and restroom hygiene. It is available as a passive system or as a battery-operated fan-powered device, and either conversion is instantaneous. This dispenser utilizes DND fragrance refill bars that last for 30 days and come in packages of 12 per case. In conclusion, every business owner or manager is mandated to both its customers and its clients to provide a clean, safe and pleasant-smelling environment. This is vital to both repeat business traffic and to bottom line profits. So get on that fragrant bandwagon and select one of these fine air-freshener dispensers and/or those odor-neutralizing products for your commercial space today.